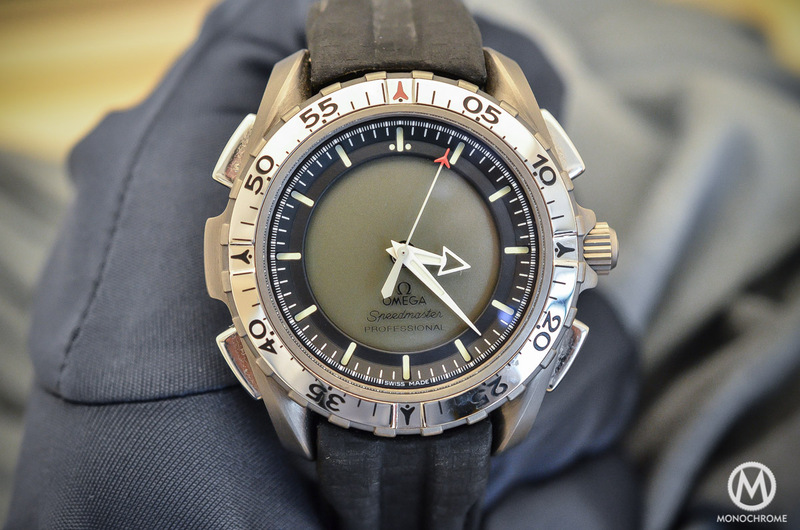 The Idea of reviewing a watch powered by a quartz caliber might be an anathema here at Monochrome-Watches. The mechanical beauty of the watches presented here, the complexity of their calibers, their finish, their overall design and their layout are parameters that drive Frank and the team to insist on presenting solely mechanical watches. Undoubtedly, mechanical watches have a certain prestige, a nostalgic aura among other qualities and are rightly associated with the term ‘luxury watch.’ However, there are some quartz timepieces that are uber cool. Watches that have been built with a sole purpose in mind, tool watches using to their advantage the capabilities of their quartz heart. 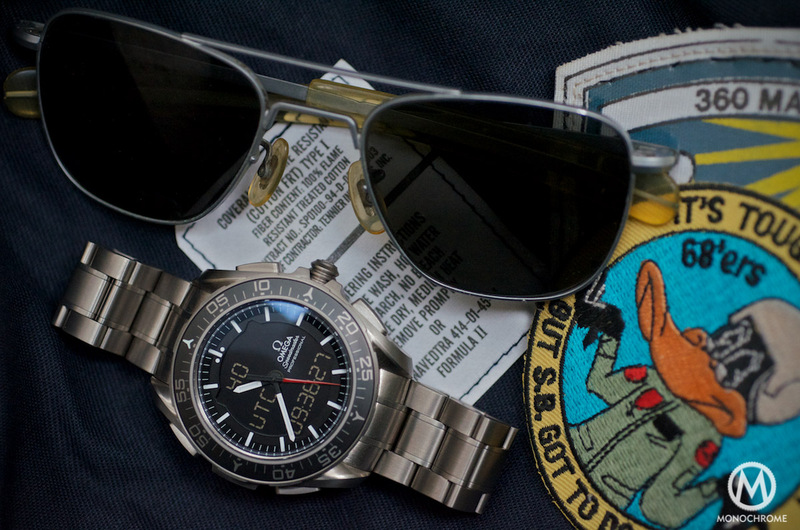 One of these marvels of electronics and micro-engineering is the chronograph that can be branded as the brainchild of the mighty Speedmaster; the Omega Speedmaster X-33 Professional Skywalker (reference:318.90.45.79.01.001). 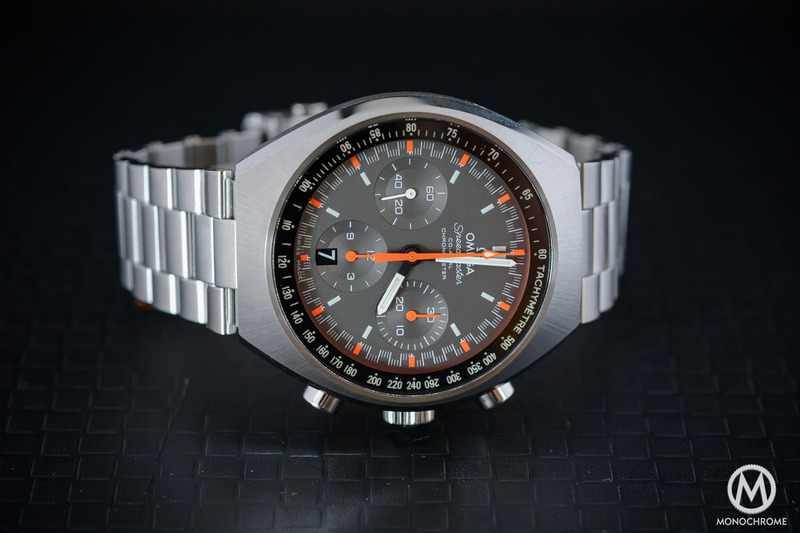 The legend of the Moonwatch (read the story about how the Omega Speedmaster became the official NASA watch) and its use in NASA’s missions had a big impact to the Swiss watch industry in general and Omega in particular. From the late 1960’s/early 70’s, the company started to slowly change the Speedmaster platform with the various Mark series of chronographs. 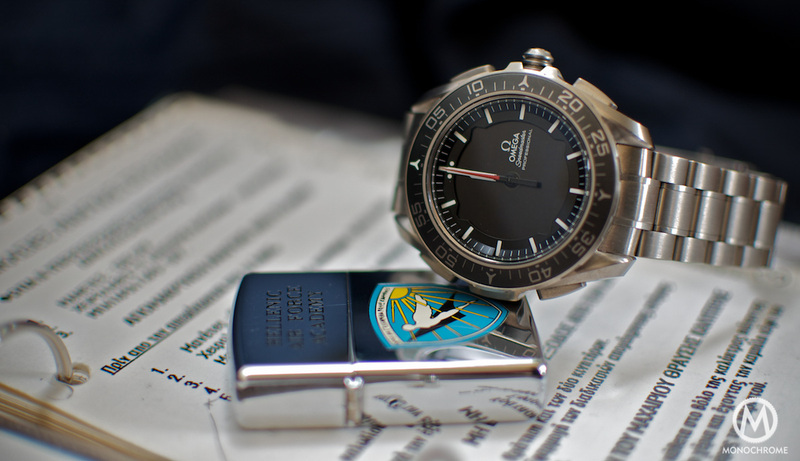 Despite the fact that new missions required a different type of watch, NASA insisted on using the original Speedmaster. 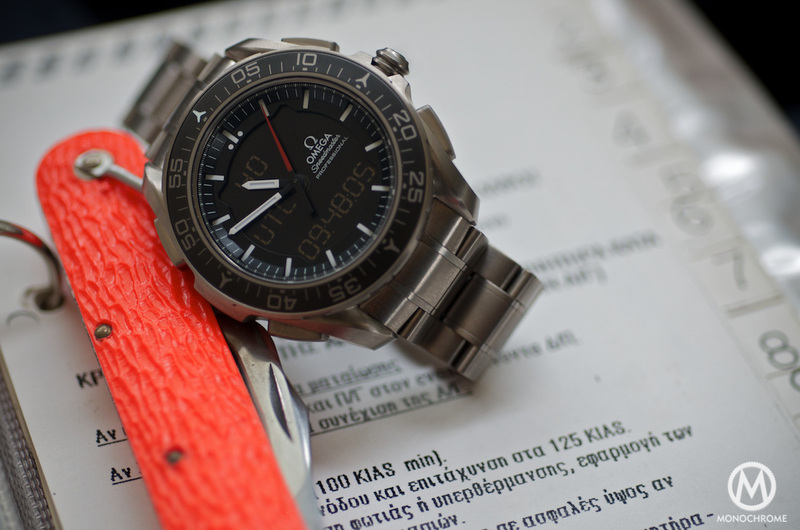 Omega then decided to start from scratch on a quest to create the ultimate tool watch for astronauts and pilots. 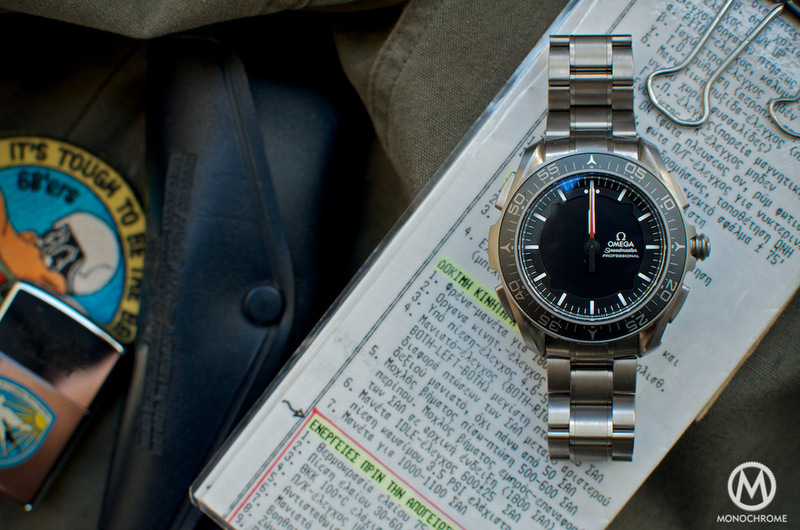 The new watch was intended to update and supplement the original Speedmaster Professional in use by NASA since the Gemini program, which had been arguably outpaced by the potential of emerging quartz and digital technologies and was no longer adequate to address fully, the emerging mission needs. The X-33 was conceived and steered through development largely by General Tom Stafford, the former NASA Apollo X astronaut who sat on Omega’s corporate board at the time. Omega officially launched the Speedmaster Professional X-33 on March 28, 1998, at NASA’s Johnson Space Center in Houston, Texas. It was a weird looking watch to say the least with a multi-function analogue/digital design which had its roots on the Seamaster Multifunction produced from 1986 using the caliber 1665. The first generation X-33 designed in coordination with NASA astronauts, Russian cosmonauts and some professional ex-military pilots. 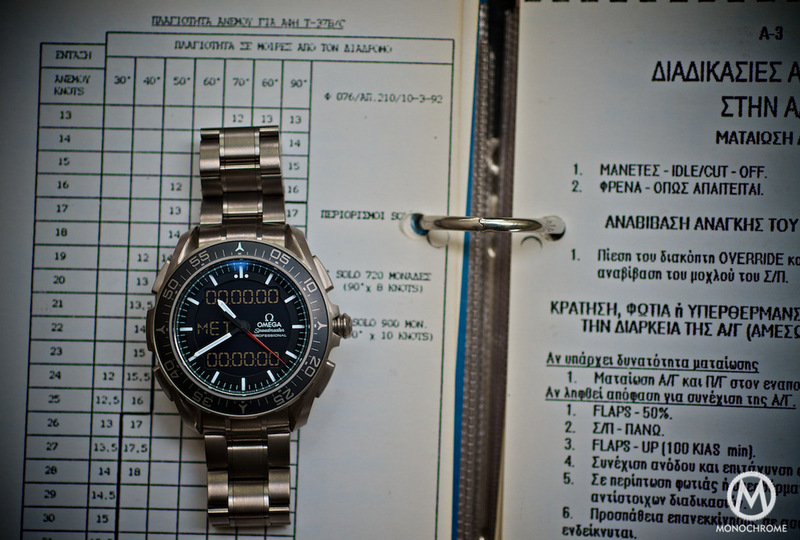 Omega even went so far as to send prototypes to the field for real world testing. The design team could consider then the feedback it received from the actual pilots and astronauts. At early development Omega’s new chronograph was named Flightmaster after the earlier classic pilots chronograph, but after a while it was decided to name the new watch as a Speedmaster Professional. The X-33 was constructed solely from titanium. Titanium’s properties, which are a combination of high strength, stiffness, toughness, low density, and good corrosion resistance led Omega and NASA to choose the material instead of steel. Saving weight is a big advantage in space missions and that was a key factor for the choice of this material. Titanium is as strong as steel and twice as strong as aluminium but is 45% lighter than steel and only 60% heavier than aluminum. Titanium is superior to stainless steel (SS) in terms of density and corrosion resistance, especially in salt water. In addition titanium can be passivated, and thereby exhibit a high degree of immunity to attack by most mineral acids and chlorides. It is a nontoxic metal and generally biologically compatible with human tissues and bones. Pure titanium is difficult and expensive to produce, and it is also harder to work with than SS, thus adding to the overall cost in a watch. The X-33 was extensively tested by NASA and packed a big punch due to the painstakingly thorough effort by Omega to create the ultimate space/aviation chronograph. It was water and pressure resistant to 3 bars, shock-resistant to 3500Gs, and anti-magnetic (ISO norm 764). Its quartz cal.1666 gave an accuracy of -0.3s to +0.5 seconds per day while it functioned flawlessly from -20 degrees Celsius to +70 degrees Celsius. Due to its quartz caliber, the X-33 had impressive to say the least functions. 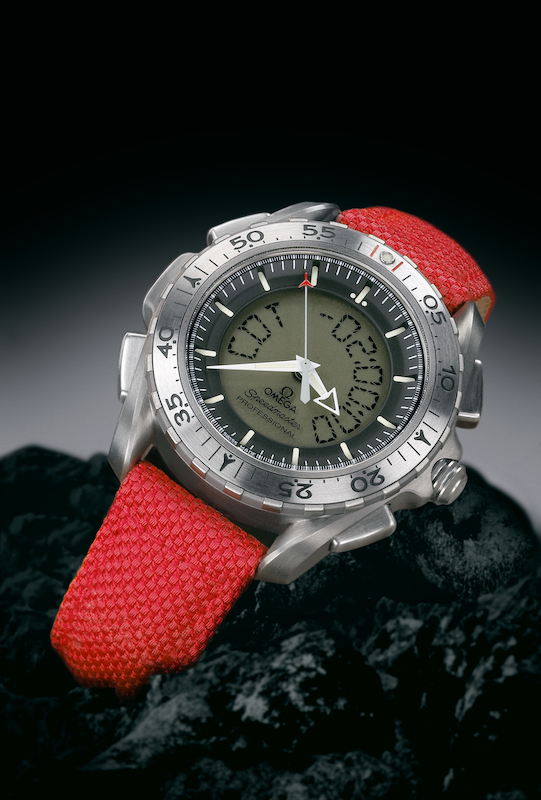 It could display Mission Time, a long chronograph function in days, hours, minutes and seconds. Useful for timing the whole duration of the mission or flight. 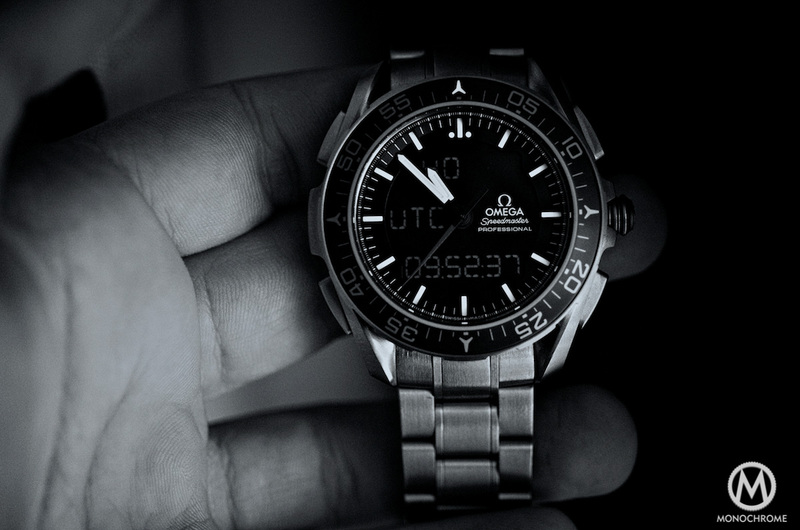 It could display also UTC time indicating the day of the week, the hour, the minutes and the seconds. This is a fundamental function in these kind of watches used to avoid the confusion of time zone changes. The watch had a 80dB alarm function, a chronograph, measuring 1/100 of a second while in parallel incorporated a unidirectional turning bezel and a light commanded by a push button that made the display visible in the dark. Despite its impressive aviation and space pedigree the X-33 was discontinued in Summer 2006 from the Omega catalogue although it remained in service for NASA space missions. 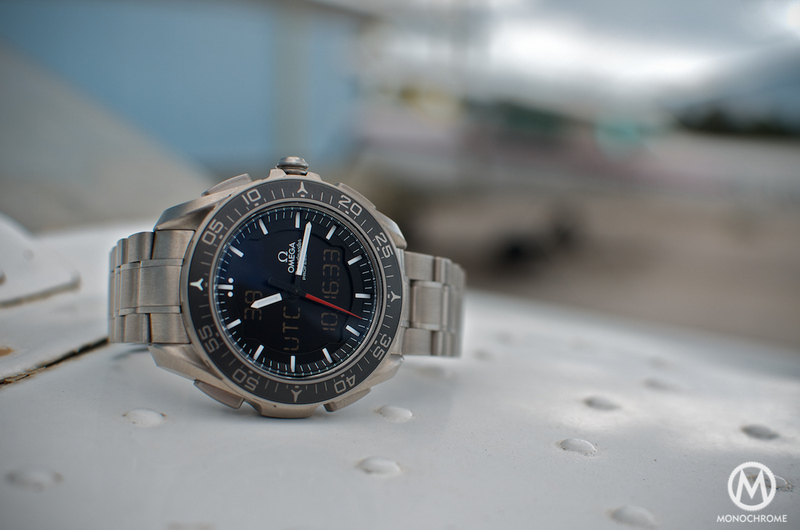 Another watch intended to have similar functions but with Omega’s pilot watches design, the Speedmaster Z-33. Lately the interest for the X-33 first editions started to rise yet again in the vintage market and personally I think that it is worth the attention of collectors since it is an iconic tool watch. It has its pros and cons like any other watch out there but for the aviation and space watch connoisseur is a must have choice. 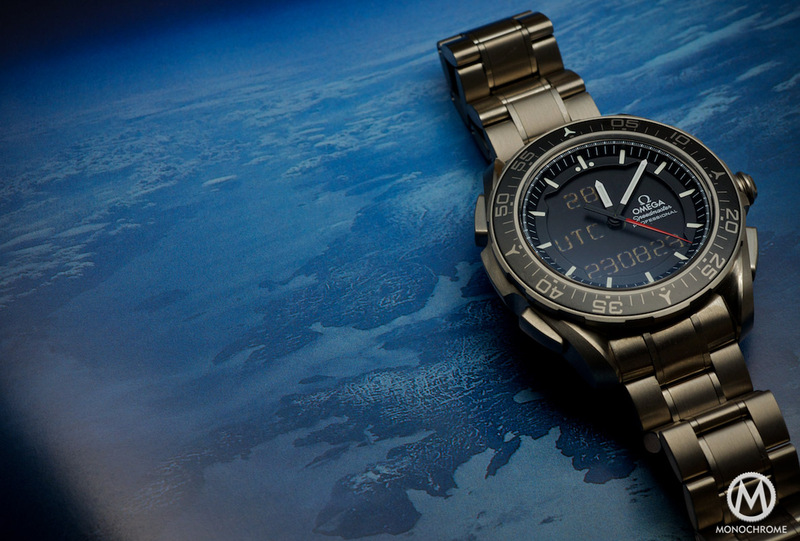 On the 11th of December 2014, Omega presented to the public the new Omega Speedmaster X-33 Skywalker. The X-33 evolved from the Speedmaster Professional X-33 and has been innovatively upgraded and developed to meet the needs not only of astronauts but of anyone who can appreciate its impressive variety of functions. This timepiece is crafted from grade 2 titanium incorporating of course design elements from the classic Speedmaster Professional and the previous generations of X-33’s. Grade 2 was selected not only for its light weight and other properties but also for its dim grey color which minimizes unwanted light reflections. The case measures 45mm is diameter, 14.89mm in height and has a 20mm lug size (bracelet tapers to 18mm at the clasp). This Speedmaster Professional has a ceramic bezel which features a chromium nitride scale. There is a luminescent white super-Luminova with cyan emission on the 60-minute marker indicator. The bracelet is made of brushed grade 2 titanium with grade 5 titanium links on a brushed fold-over clasp. The cover and opening pushers are made of grade 5 titanium; the inner folding clasp is in grade 2. On the dial we notice black and white hour and minute hands, which are coated with super-luminova that emits a green light. The bold red central seconds hand is clearly visible, while the hands can be disengaged to allow clear reading of the digital display. The black dial is designed on a two level principle. The outer ring has white indexes and hour markers, while on the inside there is a central opening which houses the liquid crystal display (LCD) with an electroluminescent backlight. This allows the wearer to read clearly the displayed digital elements such as the hour, minute and seconds of up to three different time zones, three alarms, chronograph and countdown functions, and a perpetual calendar. In addition to its analogue and digital displays, this timepiece incorporates two functions that will prove useful for on-duty astronauts: mission elapsed time (MET) and phase elapsed time (PET). While the previous generations of X-33’s were tested and flight qualified by NASA, this one has been tested and qualified by the European Space Agency (ESA). Engineers of the ESA put the Skywalker through rigorous tests at the European Space Research & Technology center (ESTEC) in Noordwijk, Netherlands. This is the place where satellites are tested and examined before launch. The watch survived tests emulating the intense vibrations of a launch, was spun in a centrifuge chamber to reach 7G’s while in parallel its performance was analyzed in a wide variety of temperatures (-45 to 75 degrees Celsius). Finally the watch was exposed to radiation under the supervision of France’s ONERA/DESP space environment department. After all these harsh and demanding tests, the Skywalker qualified as a timepiece equipment which would be suitable for use by the astronauts of the ESA. The Skywalker X-33 is powered by a 9 jewel, multi-functional quartz chronograph movement, the OMEGA cal.5619, with a thermo-compensated integrated circuit. The new movement was developed under an ESA patent licence based on an invention by ESA astronaut Jean-François Clervoy. The invention is owned and protected by the ESA and is one of the 135 inventions available for commercial use by the non-space industry. The module of the watch incorporates the following functions. Time scale “T1”: Local time for a time zone. Time scale “T2”: Local time for a second time zone. Universal Coordinated time (UTC): It is the universal reference time scale. “MET” (for “Mission Elapsed Time”): Time elapsed since a predetermined time, in this case the start of the space mission. In the case of the aforementioned space flight, this concerns the precise time of the spaceship’s lift-off. “Alarm” (“AL”) function: Emission of an audio signal on a date that can be set by the operator of the watch in a pre-selected time scale, either T1, T2, “UTC” or “MET”. “Timer” (“TMR”): This is a count-down starting from a predefined quantity of time, for relatively short periods of time. “Chronograph” (“CHR”): This is a forward count that measures, with precision (1/100th sec), the time elapsed since the time at which the operator set in motion the device, for relatively short periods of time. What is different from other types of watches of this kind? Most specialized watches up to now are under the the American patent U.S. Pat. No. 6,144,619 (John P. Reisman), entitled ‘Flight watch with multiple timers and alarm indicating means’. 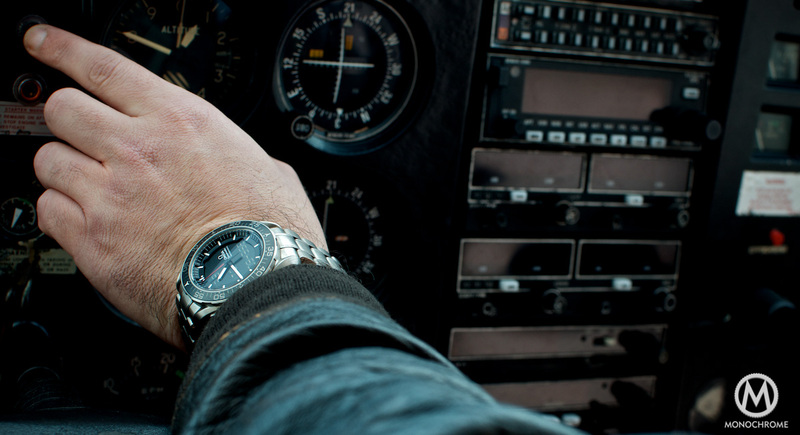 This patent, concerns an electronic watch equipped with several functions assisting an aircraft pilot. The watch must display the local time, the UTC time, and forty-two time zones. It is equipped with several time counters, a chronograph function, and it comprises analogue and digital viewing components and different alarms. This watch, or similar watches, could be considered to respond fully to the needs of their user, due to the significant quantity of functions with which they are equipped and their flexible use. However this is not so, notably, but not exhaustively, in the case of space missions, and here is where the X-33 is different. The module in its cal.5169, gives its operator the advantage to define a zero time with a precise date for a forward count or for a count-down. The watch is capable of calculating automatically the time elapsed since, or the time remaining until, a given event. The time elapsed (in days, hours, minutes, seconds) since an event of known date should not require the operator of the watch to be on the alert for the start point when he has to set the chronometer in motion. This is a very important factor in the context of space missions, where all activities are planned either according to the time elapsed since the time of lift-off, abbreviated as MET for “Mission Elapsed Time”, or according to the Universal Time (UTC). An excursion into the space vacuum would be a perfect example of such an operation. Due to communication restrictions, the airlock door must be opened at a precise point in time, and due to autonomy restrictions; a maximum working time must be respected outside the spaceship. The astronaut must therefore be aware of the time remaining, permanently, in order to prepare for the effective opening of the door, as well as the time elapsed since the start of his excursion. Other events generating the same requirement are ignition of a spaceship’s orbit changing engine, docking with another spacecraft, etc. Thus, the Skywalker’s module gives its operator the opportunity to calculate separate phases in the “PET” (for “Phase Elapsed Time”) mode. Last but not least, the X-33 design, is optimum for this kind of timepiece. Four push-buttons suffice to command (settings and displays) the watch’s times and functions. Push-buttons are chosen over dial buttons, since they do not require removal of the watch from the user’s wrist for adjustment. The control buttons are placed, symmetrically on each side of the watch, then in the upper and lower sections of its sides, in such a way as to prevent the presence of a button in the central zone which could create a hard pressure point on the back of the user’s wrist when bending the hand. I wore the watch almost everyday for this review and I have to say that I am impressed. Despite the fact that I might be predisposed towards liking the watch because of its aviation and space pedigree I must refer to the comments that the X-33 gathered while it was on my wrist. The first criticism that I heard was that the watch is dull, therefore it is not a luxury watch. 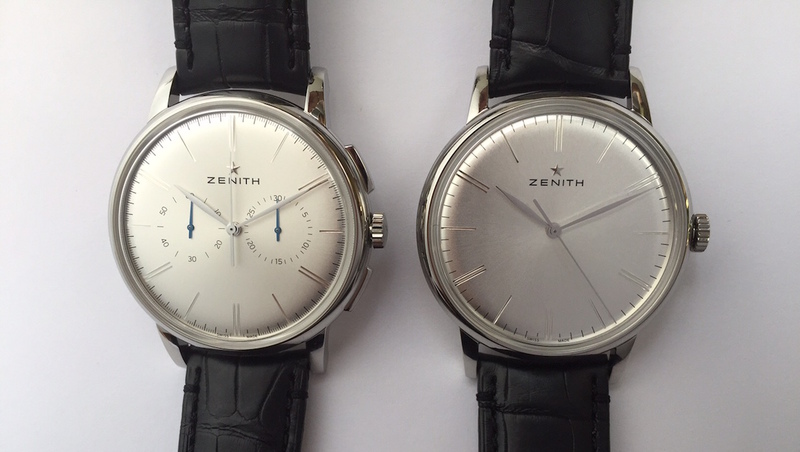 Watches made from titanium are like that, they are dim and the X-33 is the norm. However, there is a reason for that, and the reason derives from the specific purpose the watch has been constructed for in the first place. An actual tool watch is designed with a specific purpose in mind; and in our case it is the avoidance of unwanted reflections. The second criticism is related with its price and its quartz heart. Like the old X-33’s which were never a blockbuster series of watches in the market, the X-33 has a steep price – 4.350 Euros – and it’s a quartz. 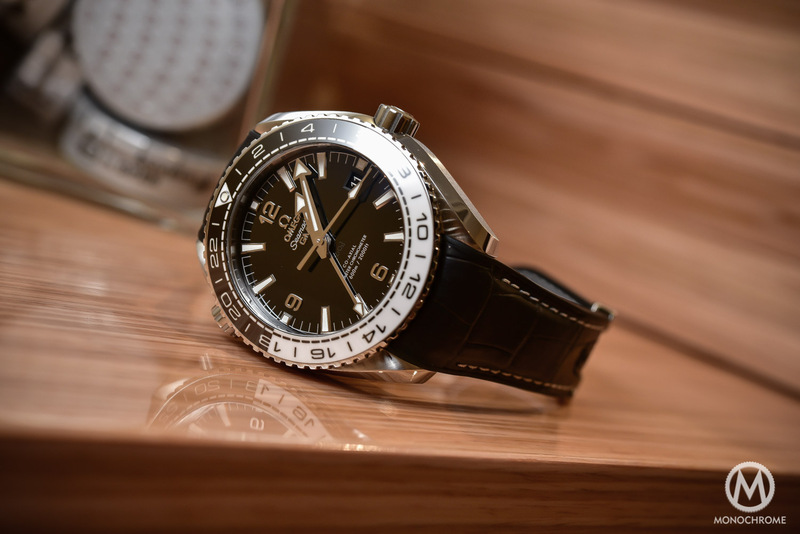 Quartz technology can be very difficult to sell to consumers and despite its superior functionality, quartz lacks the prestige, the tradition and the nostalgia that the mechanical watches have in abundance. Quite simply the consumers cannot connect the price of the X-33 with its non-mechanical nature. There is an undeniable truth in that, that derives from the structure of the market and the way the watch aficionado act. I beg to differ; the X-33 might be the exception (as a quartz watch) that defines the rule. 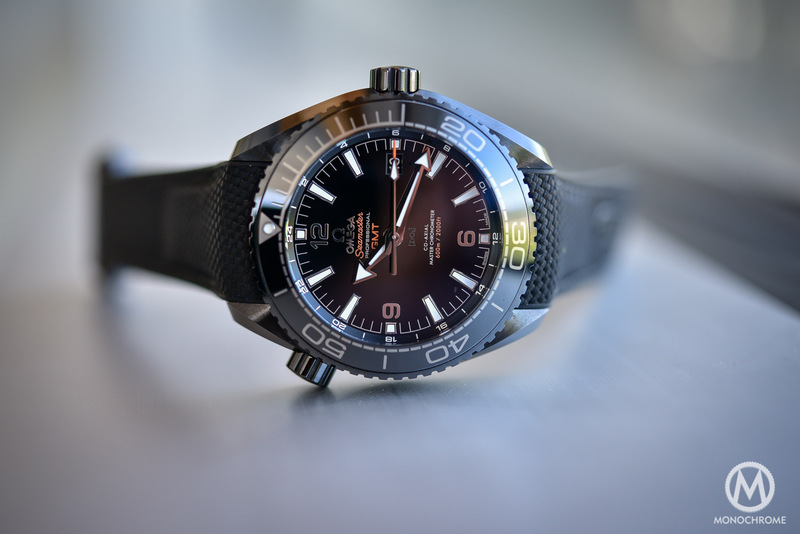 An Avantgarde choice, the Skywalker is an uber-cool watch with many unique features, which can be used in real life as well, as its buyer can discover in the excellent operating instructions given by Omega. It is true that the watch has been designed especially for astronauts and this is one of its biggest selling points, however its functionality makes it perhaps the perfect beater timepiece either for the chronograph aficionado or for the aviation/space freak. The Skywalker X-33 or its main competitor the Breitling cockpit B-50 are watches made for professional use. These are professional timepieces that can be used with the same ease from Professionals and common people at the same time. 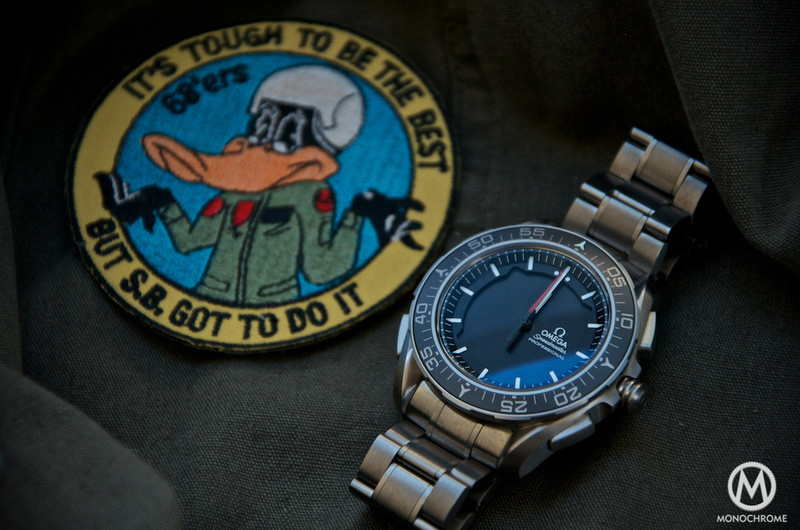 The Omega Speedmaster X-33 Skywalker is unique among all other watches of its kind in the market right now and quite simply it packs a big punch. It is a distinct instrument with the form of a timepiece combining the heritage of the iconic Speedmaster, the evolutionary concept of the first two generations of the X-33’s with the remarkable patent by Jean-François Clervoy offered for commercial use under the auspices of the ESA. It is a highly ergonomic, extremely well made and very well thought out professional chronograph that honors Omega’s commitment for providing timepiece instruments for the people who push the boundaries. In my opinion, anyone who puts in the equation of the quartz caliber as a negative element of the X-33 I think misses the whole point of the raison-de-etre of the watch. 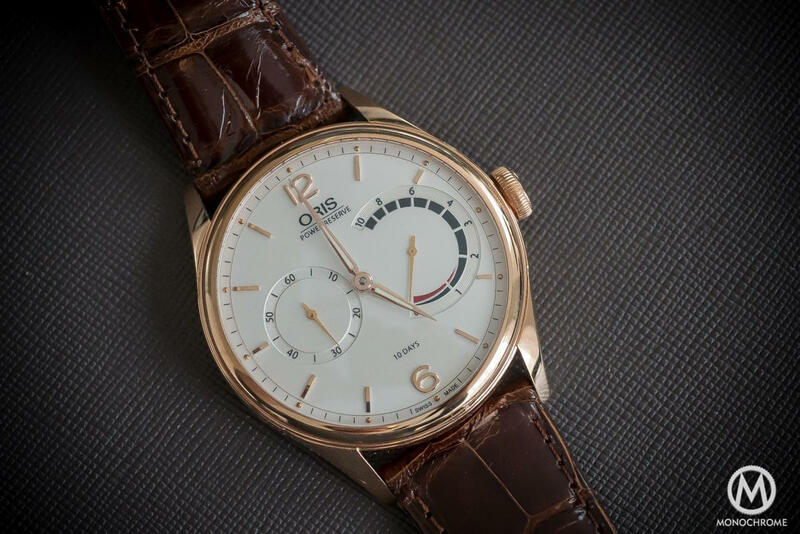 Prestige, tradition, nostalgia and the purity of a mechanical watch are very important factors when someone chooses a luxury watch with a hefty price tag. All these however start to become less important when someone chooses a pure tool watch. The X-33 is a luxury tool watch since it combines the pedigree and the tradition of its predecessors with its extreme functionality. Tool is a device or implement, especially one held in the hand, used to carry out a particular function the English dictionary states; and the X-33 is a tool watch par excellence and this is how it must be approached. Special Thanks to Aeroclub Athens and Mr.George Methanitis for his kind help. Great review, enjoyed it immensely, thanks! An extraordinary watch reviewed from an extraordinary author with indisputable professionalism. Anticipating the next one! Very nice watch with a major fault. The LCD contrast is marginal and it’s barely readable in less then perfect light condition. 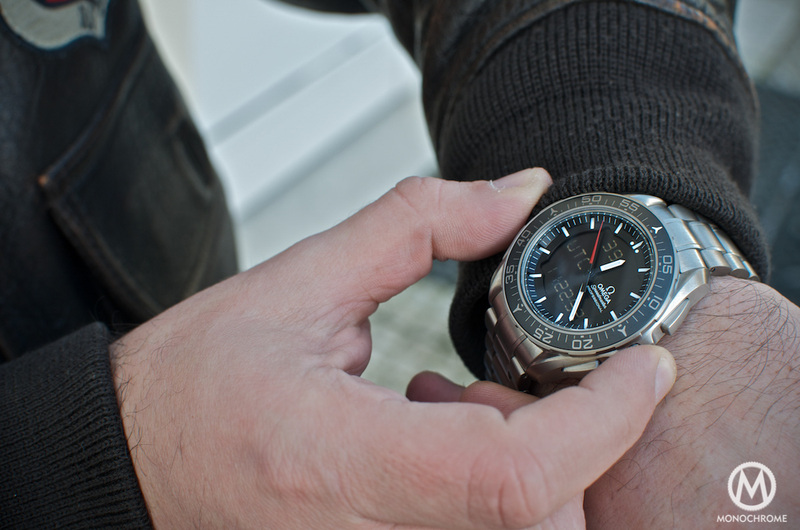 A significant problem for a watch supposed to continue the Speedmaster legacy. perfect tool watch, i like it a lot! I do own second gen X33 aswell. I own a Breitling Aerospace and I hope to be able to buy a X33 one day. I love mechanical watches as well. I have a 70s Speedmaster Mark 4.5 but why choose? Why not have it all! Excellent review and perspective about a unique and “technical” Omega wrist watch. Nothing was left out. Enjoyed every word. Nice review, but few minor details. The original X-33 isn’t all titanium – the buttons are actually steel. The bezel is also bi-directional, not unidirectional!